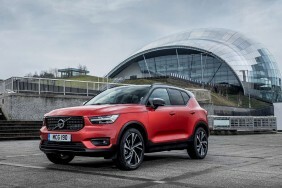 Great Volvo XC40 car Leasing & Contract Hire Deals. 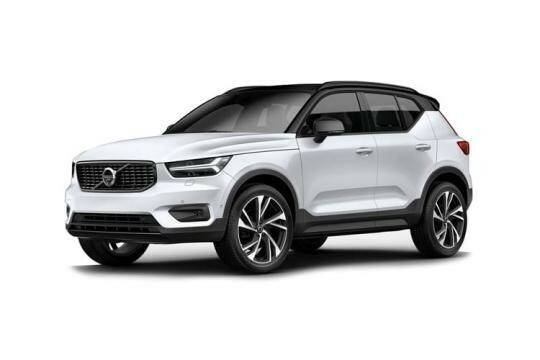 Our Volvo XC40 Lease Deals. Prices are likely to start at just over £25,000 and range up to just under £40,000. There are three main levels of trim - 'Momentum', 'R-Design' and 'Inscription', with plusher 'Pro' variants of each. Every version of the XC40 is very well equipped. As standard, even entry-level 'Momentum' variants come with LED headlights with optional active high beam, two-zone climate control with a 'CleanZone' air-filtration system, rear parking sensors, a 12.3-inch TFT instrument binnacle display and 18"" alloy wheels. If you upgrade to sporty 'R-Design' trim, you additionally get gloss black styling details including a contrasting colour black roof, plus diamond-cut or matt black alloy wheels, part-leather seats and aluminium dash inlays. Top-spec 'Inscription' variants meanwhile, enjoy fill-leather upholstery, an electric tailgate, wood detailing and a crystal glass gearlever. As ever with Volvo, a key focus is safety. An autonomous braking system is standard-fit and this system can specifically detect people and animals. There's also an 'Oncoming Lane Mitigation' set-up that not only stops you from pulling out into the path of an oncoming vehicle but can also steer you away from such an impact. Pilot Assist, Volvo's innovative semi-autonomous drive feature, is an optional extra on every XC40, as is 'Run-off Road Protection and Mitigation'. And Cross Traffic Alert with brake support', which warn you of oncoming vehicles when you're reversing out of a space.